Patti passed away on October 24, 2018. She was born July 20, 1936 to John and Jeannette Haverman. She attended Whitmer High School where she met her husband of 61 years, John Timothy Murnen. She and Tim have four daughters: Susan, a school psychologist (Jeff Ustick); Sandy, a special education teacher (Bob McGovern); Sarah, a psychology professor; and Amy, a family practice physician (Chris Kuchers, deceased). They also have four grandchildren: children of Sarah and Bob McIlvain, Erin McIlvain and Patrick Murnen; and children of Sandy and Bob McGovern, Conner and Callie McGovern. 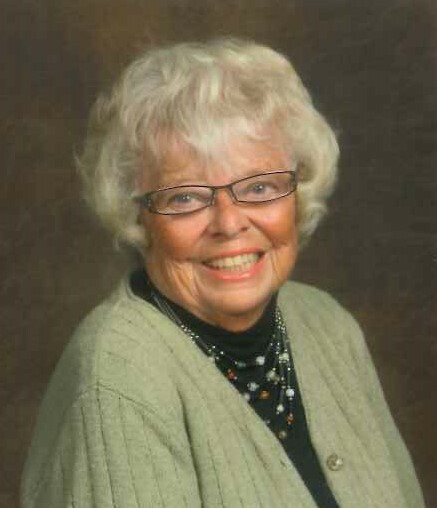 She belonged to Olivet Lutheran Church for more than 50 years. At Olivet she was a member of the Women’s Bible Study and the prayer shawl ministry where she knit more than 350 prayer shawls. She was also in the quilt group that made the 90th anniversary quilt for the church. Patti was a travel agent for 25 years and traveled extensively in her job. She later owned and managed the Travel Depot. Before her paid employment she was a creative homemaker, a devoted volunteer for Sylvania schools, and a Board of Elections worker on voting days. She was an extensive reader and an avid sports fan. She was preceded in death by her parents, her sister Sally Fels, and her son-in-law Chris Kuchers. Friends may join the family for visitation at Reeb Funeral Home, 5712 N. Main St., Sylvania, OH, Sunday, October 28, 2018 from 3pm to 8pm where the Funeral Service will be held Monday, October 29 at 11am. Interment to follow at Toledo Memorial Park. In lieu of flowers, donations can be made to Olivet Lutheran Church or to the Toledo Humane Society.